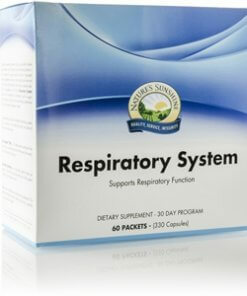 Nature’s Sunshine Respiratory System Pack is a 30 day program designed to nourish the respiratory system by supporting the lungs and sinuses, strengthening the bronchial system, and clearing excess mucus. This Chinese herbal combination acts as a tonic to moisten and nourish the tissues of the respiratory tract, particularly the lungs. 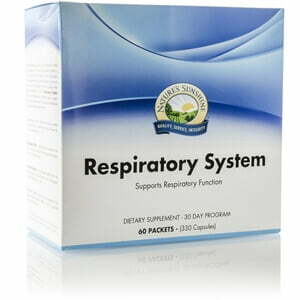 This Ayurvedic herbal formula is designed to nourish the lungs and bronchi and to offer general protection to the respiratory tract. Helps to soothe tissues and acts as an expectorant. This herbal combination supports healthy lung function, especially during seasonal changes.